So, I had to make something out of my all-time favourite cook book, Bill Granger’s ‘Feed Me Now’. It just has so many yummy, hearty, easy recipes in it. My copy of this book is so well-used that it’s a bit grotty. It’s gross, but I kind of love that about it now. For those of you that have been reading along with my blog last week, you will know that I have been doing Michelle Bridge’s 12WBT. 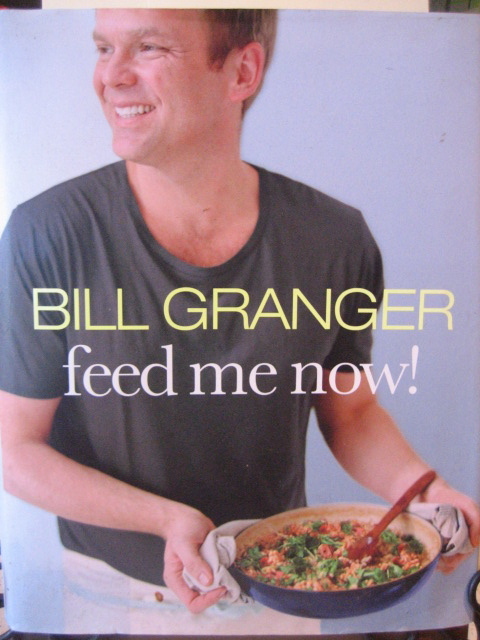 Unfortunately, there are no Bill Granger recipes in her 1200 calories per day regime. 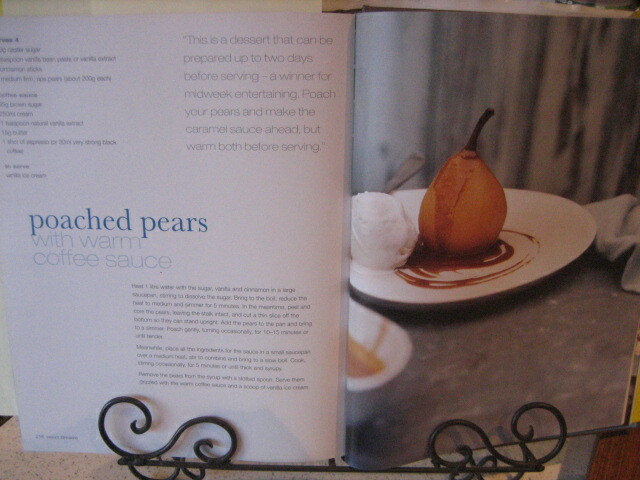 So, I broke the rules (which I figure is my prerogative ONCE A WEEK….for blogging purposes of course) and I made poached pears with a warm coffee sauce. Bridges’ program has a treat meal once a week and so I made this my treat. I also got some inspiration from watching My Kitchen Rules. The two ‘evil’ characters on the show made a poached pear recipe and they inspired me to make this – it’s one of my favourites and I haven’t made it for so long. 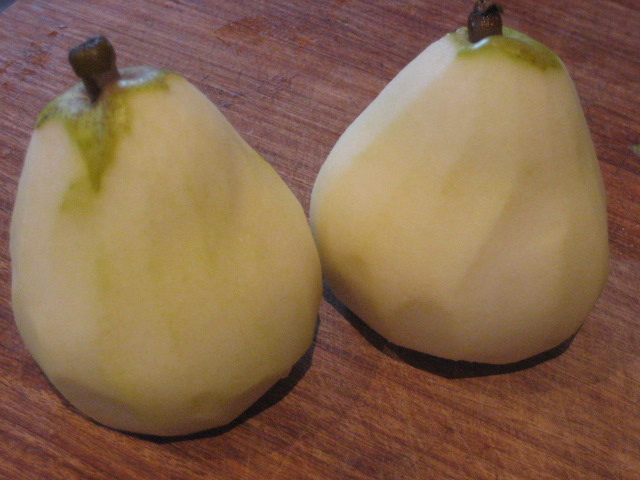 They were peeled and then poached in a litre of water with dissolved sugar and vanilla extract. It also had a cinnamon stick floating carelessly at the surface. The sauce is the naughty bit. This has a little butter, cream, brown sugar and a shot of espresso coffee. 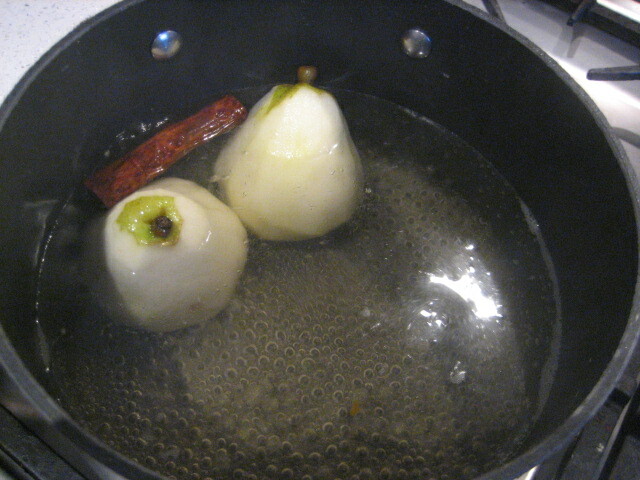 This spends five minutes on the stove top and then it’s ready to pour over the poached pears – with some more cream….or course. So, the verdict…my husband kept repeating….’Oh my God, the sauce is so good’ and then he said, ‘the pears could have been in a little longer’. He is always very honest about my cooking – which is annoying, but helps me to improve. I often remind him, quietly and calmly, just how lucky he is to have a clever wife who will cook for him. 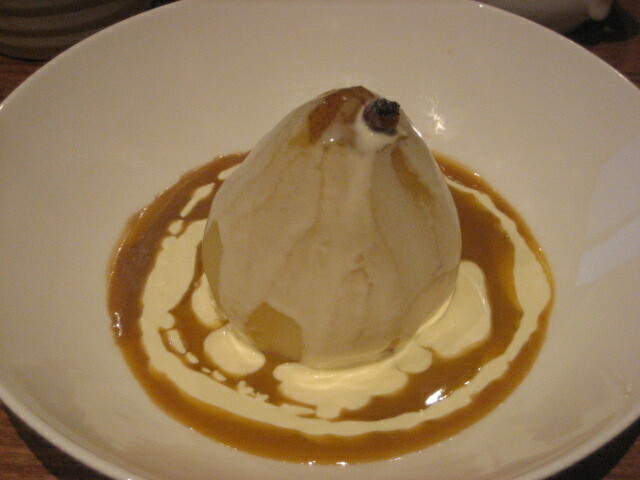 This entry was posted in Baking Ideas and tagged bill granger recipes, poached pear recipe by sewandbakeandlove. Bookmark the permalink. Bill’s cookbooks are always a favourite. I’ve had this recipe tagged for awhile now so thanks for reminding me! 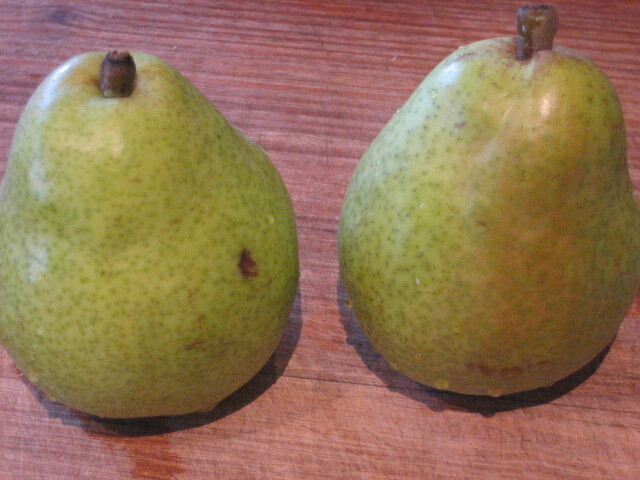 Gotta make this one especially cause pears are in season YUM!